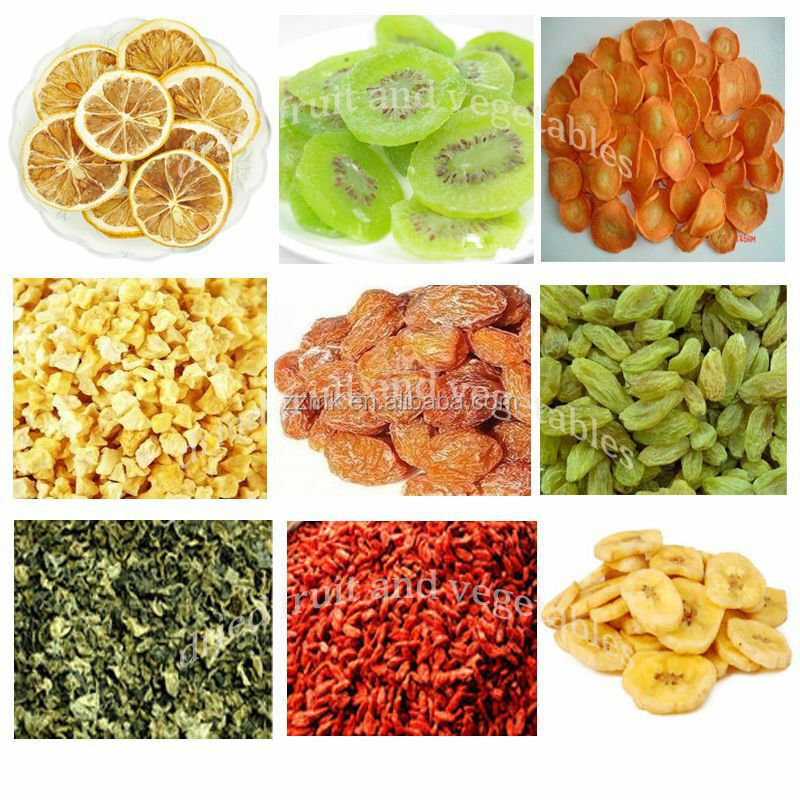 Buy Capacity 100-400kg/h dehydrated vegetables onion fruit machine - Jinan Joysun Machinery Co., Ltd. 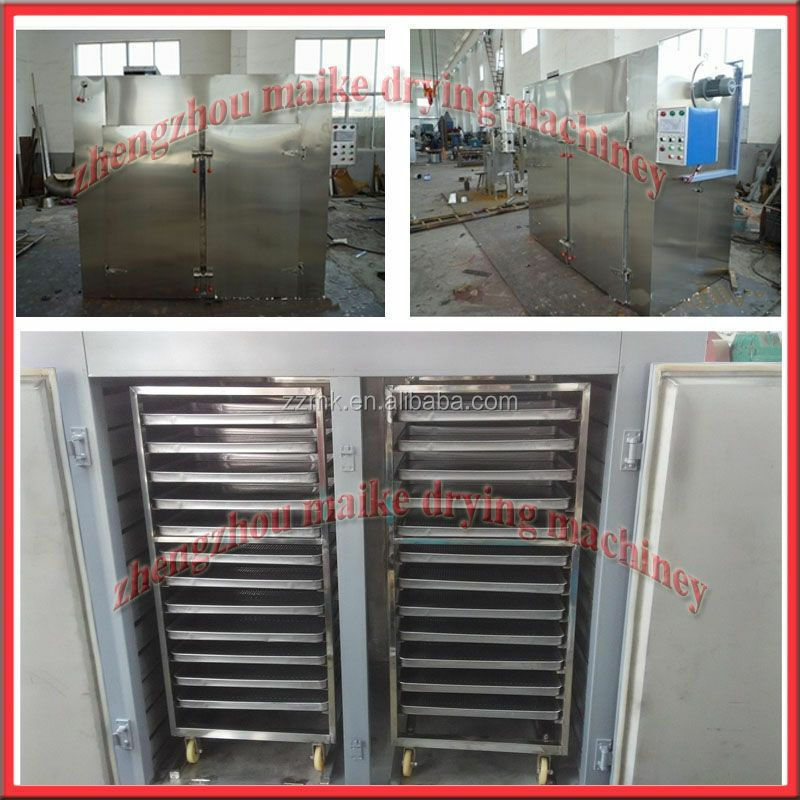 This tray dryer was upgraded and regenerated for several times and has reached advanced level both at home and all over the world. After being filtered by the primary filter fixed at the air inlet, the clean air will be blown into the drying chamber and flow towards the electrical heater. Then the heated air will be evenly distributed to each layer of trays. 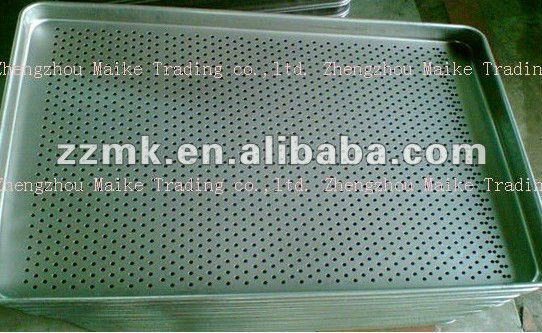 The hot air penetrates through the raw material via the holes punched at the tray bottom to evaporate the moisture from the raw material. Some of the moisture will be exhausted through the exhaust vent and new fresh air will be brought in to supplement the circulation air. 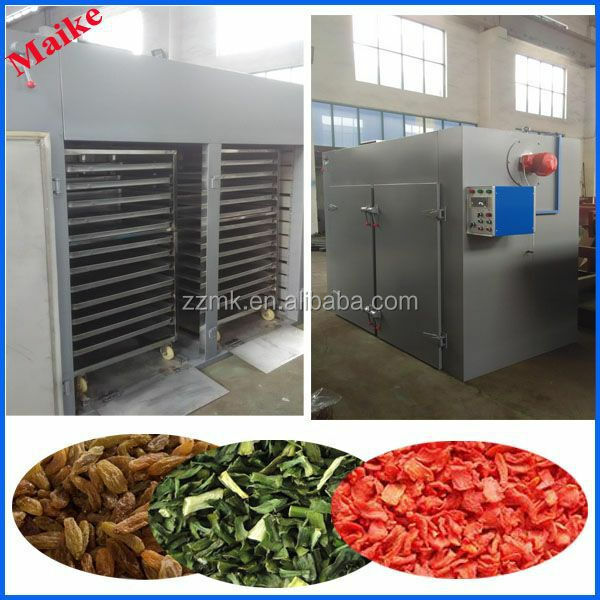 This industrial food garlic dehydration machine is widely used in sea cucumber,fish products,Chinese herb,dehydrated vegetable , fruit dried . Also can be sued into plastic resins, electrical originals, such as baking finish. 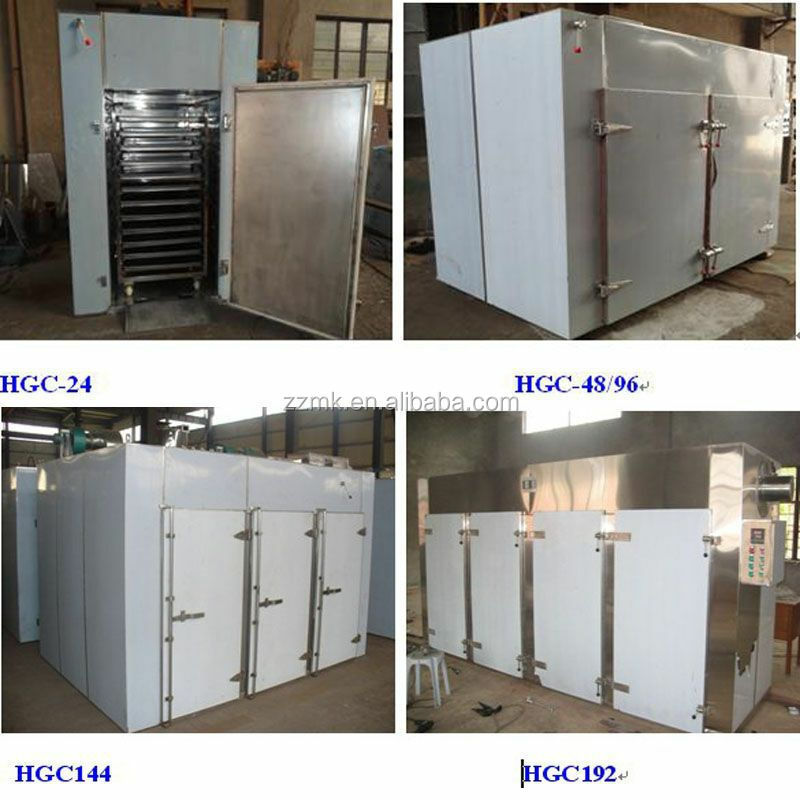 ◊ Energy saving: Most of the air is circulating inside the drying chamber which can considerably save the energy. The inside surface is lined with stainless steel and full welded. The sealed working condition can make sure sanitary working condition. The drying temperature can be easily controlled by PLC control system. Heat resisting and low noise circulation fan is combined. 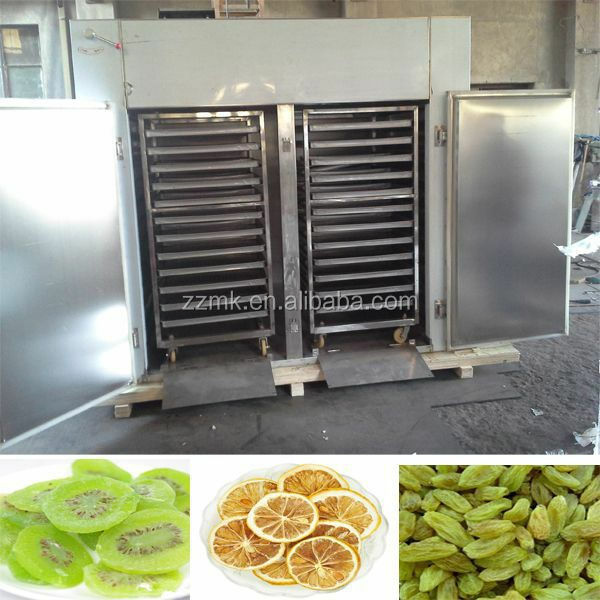 ◊ Small oven various parts of the temperature difference, temperature difference of ≤ 1 ° C, bake more evenly; bake faster than the average oven to cut 30 percent of the baking time. ◊ Baked and the effect is relatively high.